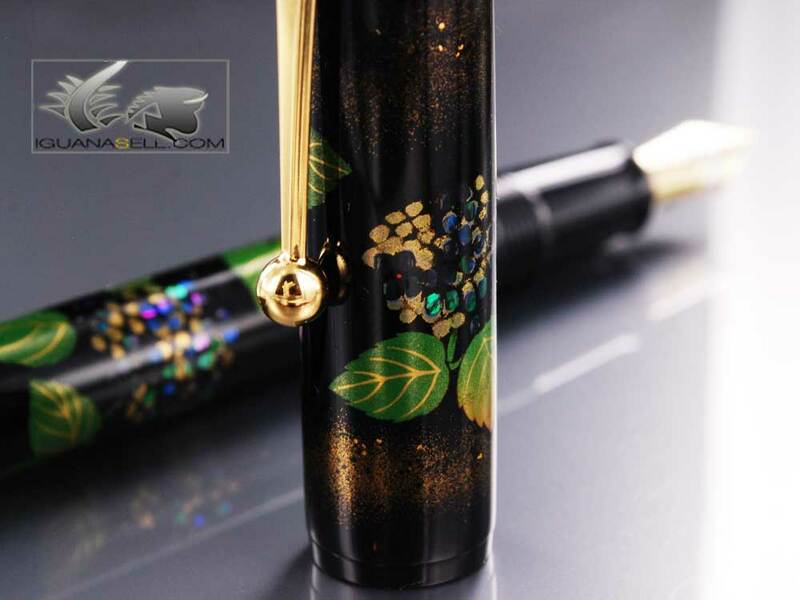 This is yet another impressive art piece from the Japanese pen makers Namiki. The golden plated clip presents the firm’s name and logo. A silhouette of Mt. Fuji can be seen on the golden Namiki nib, especially rhodiated to resemble the mountain’s snowy crest. Of course, one of the most valued features in a Japanese pen is the Maki-e lacquering. 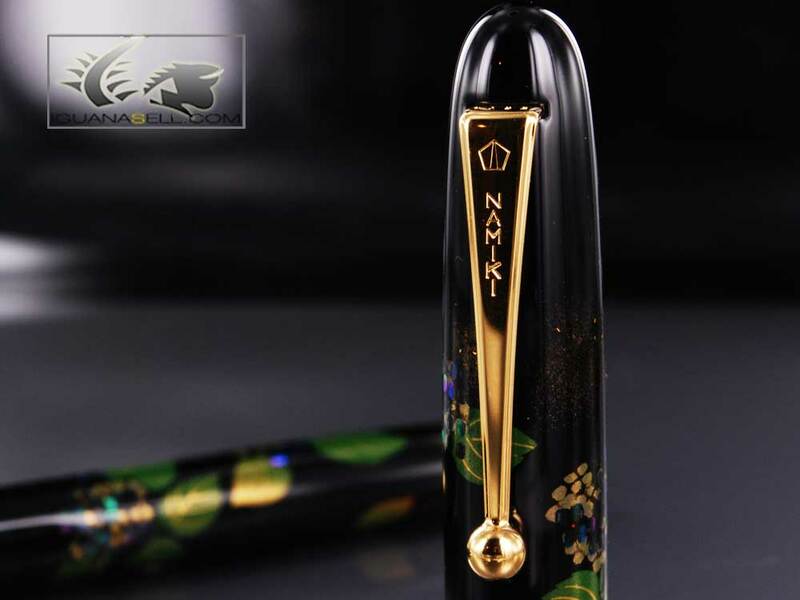 This Namiki Yukari Hydrangea pen is finished with a special type called Togidashi which uses abalone shells to provide a Raden touch as well as shiny maki-e lacquer and gold dust. 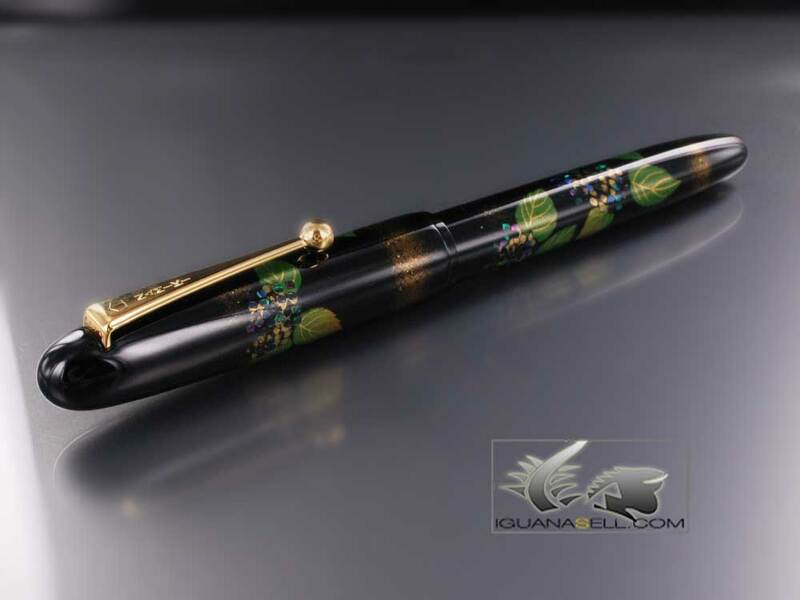 This pen is decorated with leaves and flowers over a dark lacquer background. 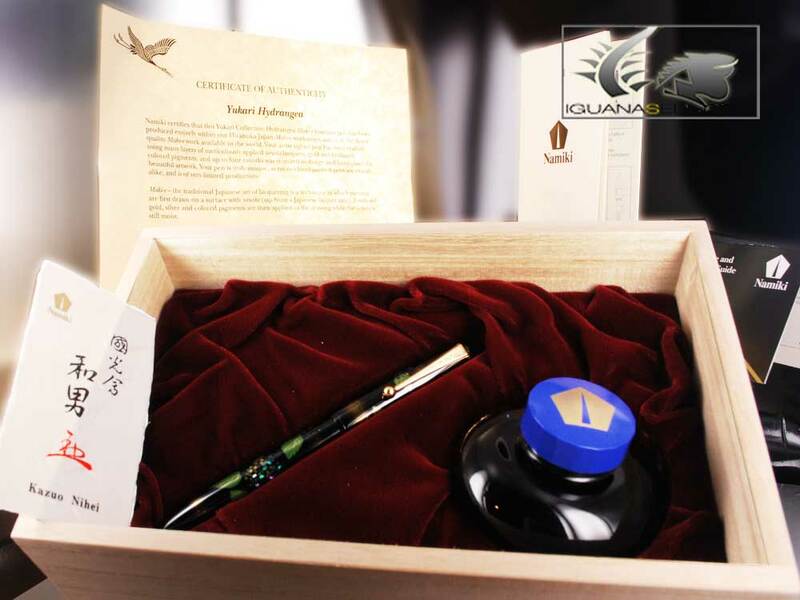 The pen comes in a wooden presentation box, as do all Yukari pens, and includes a fine Namiki inkwell. The pen is perfectly balanced to give you a very pleasant writing sensation! ST Dupont Dragon Limited Edition Fountain PenMontegrappa Miya Fountain Pens – Excellent Celluloid!